Is your Bosch/Solution Code/Keypad Beeping at you? GOT AN ANNOYING BEEP COMING FROM YOUR ALARM CODE/KEYPAD? Alarm systems self-monitor and will normally advise you of a fault via the keypad (but sometimes via the siren). To stop the beeping you will need to acknowledge the fault. 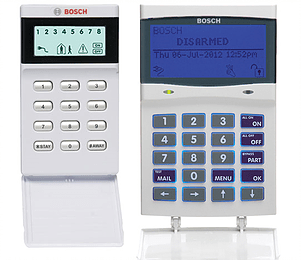 Most Bosch panel faults can be acknowledged by pressing the # key on the keypad (or arming and disarming the system). The fault is also normally featured on the keypad by the word “Fault” or a triangle shape with an exclamation mark. Press and hold the “5” key until two beeps are heard. When in doubt….. call your local Security Company!